Could our massive universe be just one of many, like a bubble in a frothy stream of cosmos-spawning stuff? It sounds like something out of a 1970s British scifi novel, but it's become a popular explanation for the origin of our universe. But how can we test this hypothesis, when we're stuck in just one universe? 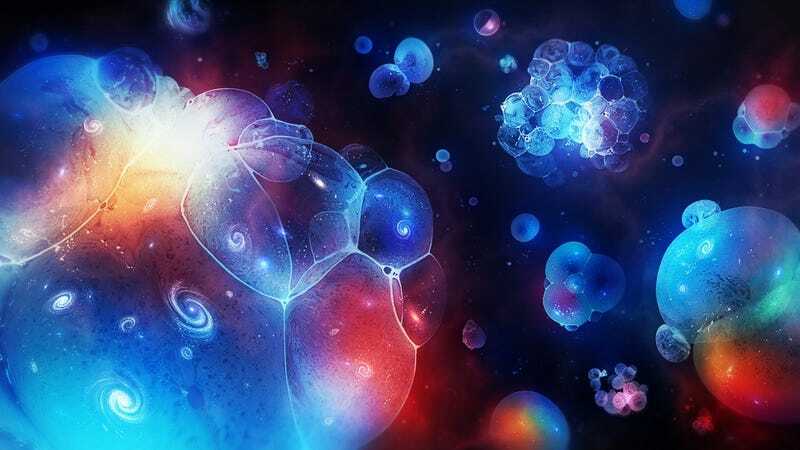 Physicists who were once wary of the multiverse hypothesis have started to come around to this radical new way of thinking. This is partly because it helps explain why our universe just happens to have the right physical ingredients to make life possible. Many physicists loathe the multiverse hypothesis, deeming it a cop-out of infinite proportions. But as attempts to paint our universe as an inevitable, self-contained structure falter, the multiverse camp is growing. But infinity sabotages statistical analysis. In an eternally inflating multiverse, where any bubble that can form does so infinitely many times, how do you measure "typical"?